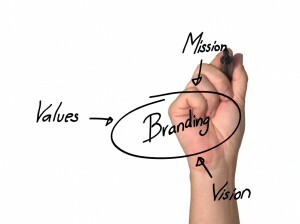 No matter your career, and what you are trying to accomplish, one of the things that you need to understand is that you are a brand. According to recent statistics cited by Fast Company, the U.S. worker’s median tenure in his or her current job is 4.4 years. Men are likely, on average, to have 11.4 different jobs during a lifetime, and women 10.7 jobs over the course of a lifetime. It’s true that these stats for the United States, but I can’t think that the general trend is all that different in Canada. Chances are that, no matter where you live, you are likely to have multiple jobs throughout your lifetime. When you consider that you are likely to change jobs several times throughout your career, it becomes evident that you need to work on yourself as a brand. You need to be able to “sell yourself” throughout your career so that you remain employed and that you remain eligible for promotions and raises. The first step to creating your brand is to develop marketable skills that are likely to translate between jobs. Many of these skills are soft skills like writing and speaking. You can also develop hard skills that might be in demand in various companies. Computer certifications and other hard skills can be useful across careers. Figure out what skills you can develop that can make you an asset almost anywhere, from problem solving to leadership to social media knowledge, and develop those. You wan to be able to show how you can be an asset no matter where you are, and what you are doing. While some jobs require particular skills, many jobs in the new economy require that you have a more diversified skill set, and that you have abilities that translate well between jobs. Another route to go is by specializing in something that is somewhat rare. My husband specializes in statistics and statistical analysis, as well as research design. He can almost always find some sort of position to fill as an instructor, and he is in demand as a consultant. Indeed, he is the stats consultant on a major research grant at the university here in town. His specialized skill set is rare, and that means he almost always has something to do (and that he is paid for) because there are few others around that can do the same thing. Decide how you can market yourself and your brand as an asset, and you will be ready for your next job interview. Research indicates that a growing number of employers are using social media as part of the screening process. In 2012, CareerBuilder released the results of a study that indicates that 37 per cent of companies use social media to research job candidates. While that’s not a majority, it’s still a significant finding — and the reality is that more companies are likely to turn to the Internet. This means that you need to build your online presence in order to get the word out about your brand. At the very least, a LinkedIn profile can help you establish yourself as a professional. You can put up your resume (and make it easy to share with others) as well as share your accomplishments. When building your online presence, whether you are on LinkedIn, Twitter, Facebook, Instagram, or Pinterest, you need to consider how you appear to others. Do you appear professional? What keywords do you include in your profile? What types of things do you mention? Are you networking online with others in your field. Using social media and building a professional online presence can help you improve your chances of landing a job. If you brand yourself as a competent professional in a certain field, you will be more likely attract positive attention. And, when potential employers search you, they will see insightful thoughts and connections related to the industry or the subject you are focusing on. It really is about making sure you have a persona that you can use. Anymore, the company you work for can’t define you — especially if you are going to be moving on in 4.4 years. You need to define yourself, so that you can advance your career beyond a single company — or perhaps so that you can even strike out and be your own boss. So true, I always try to impress this upon people. Fact is, we’re ALL in the business of sales, the sale of ourselves- in business AND in life. Very good article… I think the two biggest things are marketable skills, and connecting to others in your field or desired field. It seems like new opportunities come most often to that that know the right people! Even if you have a brand, others have to know about it… you mention it with the online presence, but also making sure that you are meeting people! I like the reminder that, ultimately, a lot of it is about making connections and getting to know people, whether it’s online or offline. That’s becoming an increasingly common practice. With so much of ourselves “out there”, it’s important to think about the impression we create online. Great post Miranda and thanks for reminding us that WE are all inclusive when it comes to promoting ourselves. my specific skill set is tempered by who I am and how I act…which is why Facebook should be approached like any other behavior we show to others. I like that idea of BEING a business. When you’re a solopreneur, like I am, you really are the business.